Our two intrepid teams, one representing our Newport office and another representing our other offices, put their competitive heads on to battle against each other at the Newport Food Frenzy on Saturday. Now in its second year, thousands came to taste the myriad offerings from local producers and the Adams Grammar marquee was packed tight as an amused crowd watched a nervous crop of lawyers heat up over their woks. Under the watchful eye of greatly appreciated celebrity chef, Nigel Brown, teams “Caveat Emptor” and “No win, no fee” did their best to create a pleasing stir fry, to be taste tested by the audience. A show of hands gave the result of a draw (though both teams claim that they were the clear winners!). 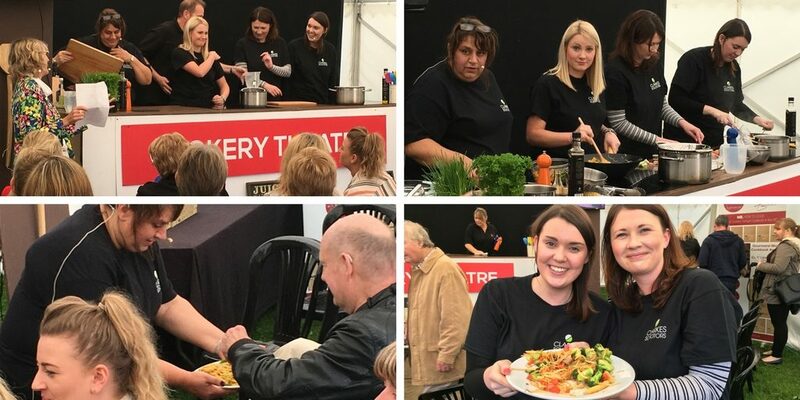 We’ll be hoping to return to Newport Food Frenzy 2018 for a rematch – there is a lot of cookery practice that can happen in 12 months! !